a week after shampooing. It soothes and moisturises the scalp, whilst adding volume to each individual hair to create a more voluminous look. 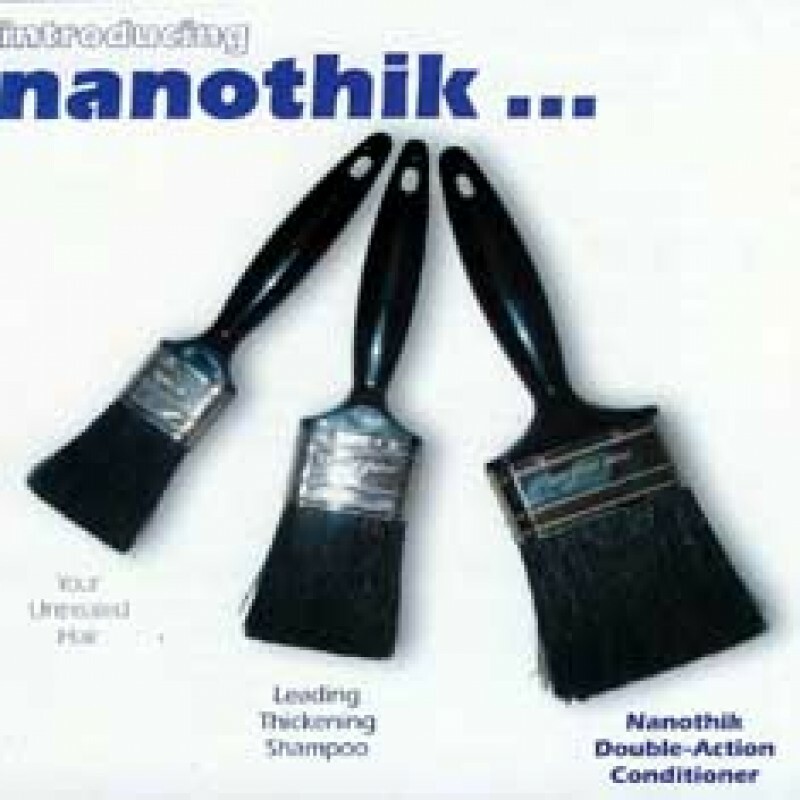 Nanothik Conditioner is a mild and soothing formula has been developed to add volume to each hair by penetrating D-Panthenol (Vitamin B5) into the hair shaft (cortex) where it attracts moisture and locks it in. 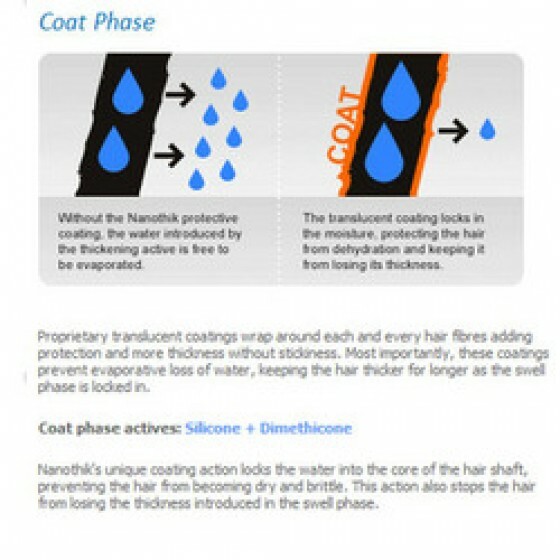 Swell n Coat System; with its dual action thickening formula and positively charged delivery system. 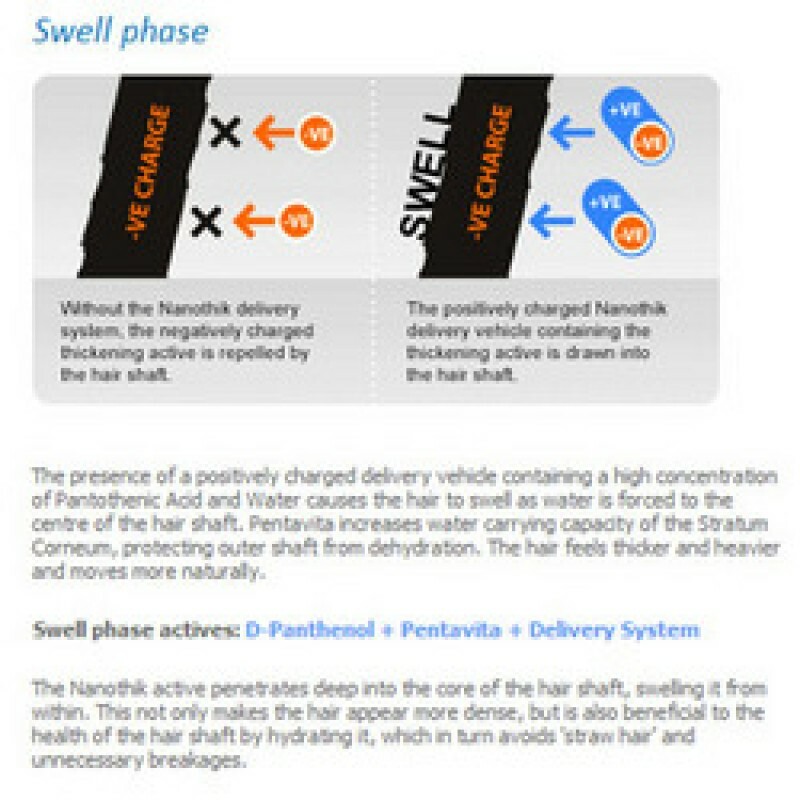 Pentavita binds moisture to the hair shaft as well as to the scalp, ensuring that skin stays hydrated and comfortable. It has a natural affinity with the skin\'s own moisture balance, ensuring that the scalp\'s delicate equilibrium is not disrupted. Seaweed supports the scalp\'s natural moisture balance, whilst exhibiting anti-inflammatory properties on the hair follicles. Extracts of cucumber and aloe vera nourish, moisturise and sooth the scalp to ensure that the scalp remains comfortable and moisture balanced.